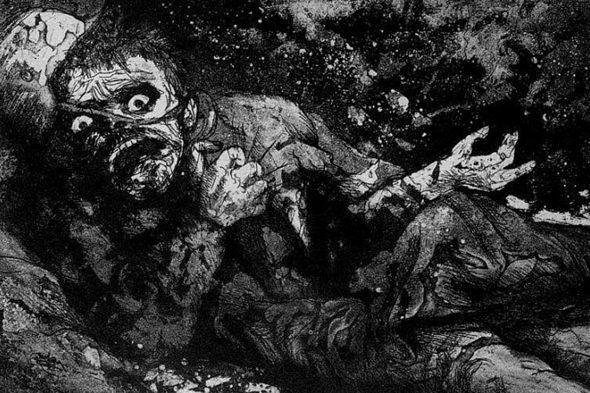 “Der Krieg,” (The War) by the artist Otto Dix will be one of the pieces of art that will be studied. Dix served in World War I, and in the autumn of 1915, he was sent to the Western Front. The University of Illinois at Chicago’s Museum and Exhibition Studies program, in collaboration with the National Veteran’s Art Museum, has received a National Endowment for the Humanities grant to establish a two-semester course focusing on war-related art from World War I to the present. The NEH issued an $81,294 grant to UIC and the Chicago-based National Veteran’s Art Museum, or NVAM, to develop the course, “Investigating and Curating a Century of War and Survival.” The award is part of the NEH’s “Dialogues on the Experience of War” category that supports the study and discussion of humanities-based expressions of war and military service. 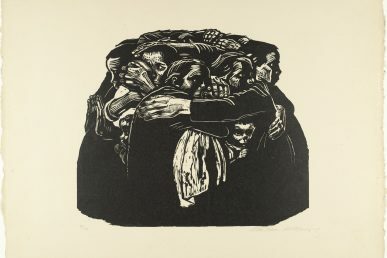 Artist Kathe Kollwitz’s woodcut, “War,” was done after her son died in World War I.
NEH grants fund projects that help preserve and tell the story of essential chapters of American history, according to NEH Senior Deputy Chairman Jon Parrish Peede. Projects funded through NEH’s “Dialogues on the Experience of War” grants support humanities-based programs for military veterans and their families, according to Peede. “These new NEH-supported projects deepen our understanding and appreciation of the traditions, values, and historical figures who have shaped our country,” said Peede. The graduate-level course will be run from UIC’s Museum and Exhibition Studies, or MUSE, program and will serve to build students’ curatorial and programming skills and prepare them to enter the cultural fields, said Therese Quinn, director of the program and a project director on the grant. As part of the course, five veteran artists/curators will be trained as discussion leaders as they work with the graduate students to prepare them to lead focused discussion groups at the NVAM Triennial and Veteran’s Artist Summit scheduled for 2019, according to Brendan Foster, executive director of NVAM. Along with Foster and Quinn, Aaron Hughes is a project director on the grant. Hughes is an artist, curator and teacher, as well as being an Iraq War veteran. The five veteran artists/curators who will serve as teachers and discussion leaders include the following Iraq War veterans: Carlos Sirah, who will focus on the performing arts; Amber Hoy, who will focus on the visual arts; Yvette Pino, who will focus on interdisciplinary creative practices; Kevin Basl, who will focus on literature; and Edgar Gonzalez-Baeza, a UIC graduate, who will focus on arts education. 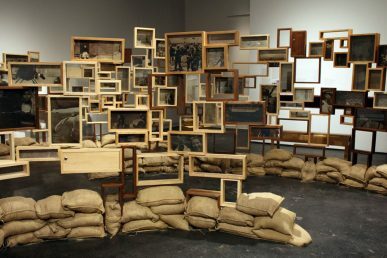 It is important for curators to understand the role of art in wartime because art is “foundational” in helping American society develop a true understanding of the current and historic realities of what continuous war means to the country, said Hughes. “Art creates the space needed to reflect on the connections between the creative practices of service members, veterans, and military families as they cope with the experiences, histories, and present realities of war,” said Hughes, who is also art committee chair of NVAM.